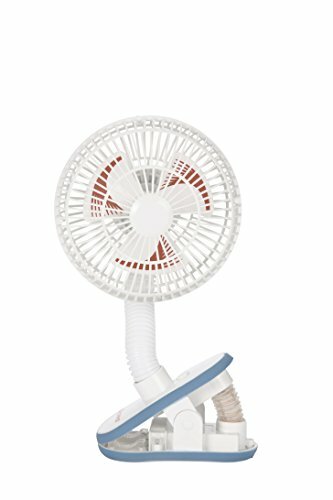 Keep baby cool with a clip-on Stroller Fan. Attaches easily to strollers and other surfaces to keep the breeze flowing. Fan cover protects small fingers. Requires 2 AA batteries, not included. View More In Stroller Fans. Houselog Clip-on Stroller Fan, Mosquito-Repellent, Essential-Oil-Diffused and Rechargeable Battery-Operated Accessory for Urbini, Uppababy, Graco, Britax, etc.